There are some mixed up terms on this thread, I think he got it backwards. rca component = red, blue and luma all have separate rca connections. Practically, but not quite rgb quality. Can output 480p and HD resolutions. The reason you are having trouble reading windows isn't necessarily the sharpness but the 480i limitation. Interlaced is really two 320x240 frames kludged together, which tends to make text on a computer look like crap. The only way to make it look better is to either dramatically increase the size of the font, or try to get windows running at 320x240. Both solutions have their drawbacks. The only way to make windows look decent is to use a connection that'll support 480p or higher. It's the main reason most of my cabinets now have either a svga crt or a hdmi monitor. Thanks for the primer. I was aware that RCA coax or lower was going to be the standard option on most TV's but I assumed that S-video was going to yield the best results. I am actually pretty happy with the s-video results in game and the video card I had available has s-video outputs. In your opinion, is it worth it to pursue RCA component over s-video? S-video gives a better picture, but only slightly. It takes care of most color bleeding, particularly red, which improves sharpness. Well you can't pursue component because, to my knowledge at least, no pc video card was ever manufactured to output component. The next step up is svga, which I'm assuming your card already has, or dvi/hdmi. That being said, if the tv you are using has component in, it might actually be worth it to find an adapter box as that would bump you up to 480p. All the video cards I've had with s-video output also had component out. (Like 4 or 5 of them, Nvidia 8600-9800 series). The s-video out connection has more pins than needed for s-video. An s-video cable could be plugged directly in the card directly and it would work, but an included pigtail could be used instead. The pigtail had more pins on the connector than s-vid and had s-video, component, and composite outputs. The annoying part was that it couldn't auto detect what you were using. You had to set the output type in the nvidia software first. The picture using component was much better and text easier to read, but I used s-video instead because I was using act labs s-video light guns. Huh. Must be a NVidia feature then. I've had several ati with s-video and while they had more pins as you described, component was never mentioned in the manual. I'm going to post this in the buy/sell section as well but I am looking for a gear or two off a super-off road. Apparently there are two different size of teeth, one with really fine teeth and then the one I need. This is a pic of the gear I need. I have two of these already so any help would be great as it will allow me to carry on with three of the same size gear. That gear looks like a spur gear from a r/c car. It does look like a spur gear. Thanks for the link. Any rc hobby store should have one. Can anyone recommend a simple frontend that can scroll horizontally when the wheel is turned? I plan on only putting a handful of games on this and was thinking of displaying just the marquees of the games with a blurred screenshot in the background. No favorites, nothing fancy. Real clean and simple. Use Hyperspin, you can really strip it down and it has mouse and spinner support. Thanks Brian. I will take a look. Use FEEL instead : it' s fast, good looking and it's the choice i made for my racing cab. I made an animated low res layout for racing games that is included in the main package. Okay folks it's time for me to step into uncharted territory and turn my arduino mega into the controller for this project. SailorSat has graciously provided code in github for me but I have some questions about getting started. First of all, do I need to set up the Arduino Mega on the actual computer I am planning on using? It is running a really old version of XP. Or, can I set it up it on my laptop or desktop that are running windows 10 and then once set up plug it into the older machine? Will this cause issues? Or is it just better to work directlyon the old machine? There are two files for what I believe to be the Offroad code. Do they both do different things and am I supposed to use both? I know the lower one with the .ino extension is a sketch (that I believe I cut and paste into the arduino sketch editor). From what I can tell the .ino code looks like it takes care of all the buttons, the pedal pots and the steering input but, what is the .h file for? Any help you could provide would be very appreciated and please be gentle on the new guy, lol. You can upload your sketches to your arduino from what PC you prefer, with what O.S. you like the most (i had issues only with vista): it will work in any other PC after installing the drivers. Driver installation is different from OS to OS, but there are detailed instructions on the net. I have not had the time to take a look at the code she wrotes for you, sorry. Thank you Baritonomarchetto. That will be enough to get me started. What is interesting about that pic (to me anyway) is that I have that wider control panel but not that cab design. the coloured ends don't wrap around the edge of the control panel and it's wider than the other panel I have (incomplete). I haven't been able to find much info on why they have two different panels but the wider one may be the EU cabs control panel. Today I was watching a new TNT amusements youtube video. I usually skip over these but since it mentioned Super Off-Road I gave it a watch. Apparently according to Todd Tuckey from TNT Amusements, at some point in production Leland ran out of original Super Off Road cabinets. At this time they decided to use Team Quarterback cabinets and a wider control panel was used since those cabinets were larger. These wider control panels look to be the same design as the cab SailorSat worked on but the graphics on the steering wheel mounting plates are different. TIL that they also made a two player cabaret Super Off-Road. Who knew? Neat little cab. Here is the video about that. Hi n3wt0n, have you got the Mega up and going yet? I just acquired the driving controls for Super Off Road and will be building my own cabinet soon to make a Multi-360 like you. Was wondering if you also had to flash the Mega to turn it into a HID (keyboard, joystick, mouse) device to get it to work? Hey, I haven't had a chance to set the Mega up yet but as I understand I have to upload the sketch provided by SailorSat earlier in the post and add the libraries file to the arduino library on the machine I plan to use it on. If you are new to the Arduino world I suggest you read through Barons beginners link posted earlier. With Google translate I was able to get a lot of great information out of it. If I get to it I will try to post the steps for you. Hi everyone, I am working on getting the Mega working as intended but I think I am having some issues. 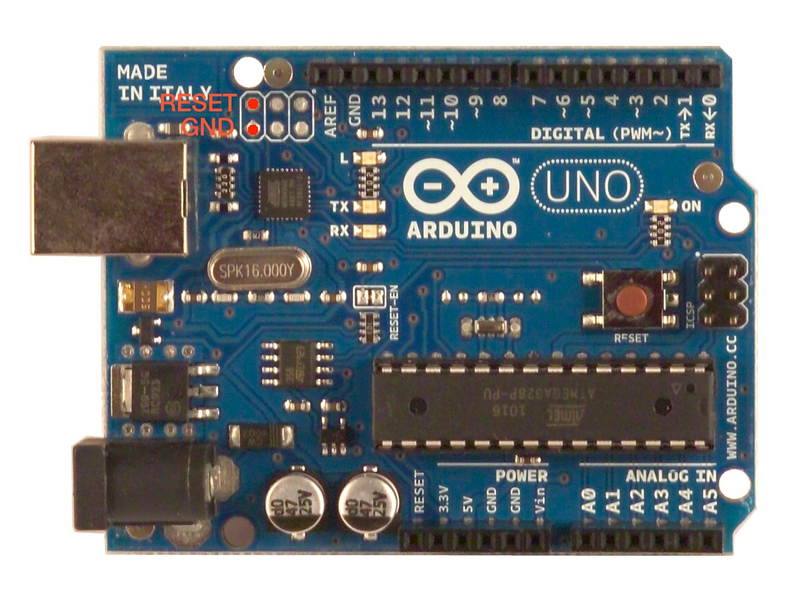 I am a complete Arduino noob and new to programming anything like this. First off, I have successfully plugged the Mega in via USB and I have uploaded the test 'blink' sketch to make sure that the computer and Mega were communicating properly. Next, I uploaded SailorSat's code that she provided on GitHub (OffroadArduino.ino). It appears that everything uploaded okay but I don't see it showing up as three game pads and three mice as it apparently should. One thing I noticed was that when I opened OffroadArduino.ino in the Arduino IDE software it automatically opened OffroadArduino.h in a tab beside it. I don't know if that is normal or not. There is another folder of goodies in the main Offroad folder called Mega. I'm not sure if I need to do anything with this file or its contents. Is this is a library or does it need to be loaded in a specific place on the computer or what? I added some images that show the contents of the folders. I am really stuck. Any help that anyone with Arduino experience could provide would be amazing and much appreciated. Ultimately, I would love SailorSat to chime in and give some input as it is her code but anyone is more than welcome to participate in what may be me overlooking something very simple. n3wt0n, I think in order to turn it into the gamepad/mouse mode you have to put the Mega into DFU mode to be "reprogrammed." You need to download the Atmel FLIP program in order for your Mega to show up in DFU mode as well. Then you need to run the TurnIntoAJoystick.bat file that is the Mega folder of the github files that you downloaded from SailorSat. However, when I did all this I got the pedals and buttons working but for some reason all three wheels are identified as the same mouse and not separate mice. I tried enabling multimouse in the Mame.ini but I still get the same problem. I know its a long shot but hopefully SailorSat can chime in with some pointers. EDIT: I tried the latest version of Mame and now the wheels work correctly. I now have to figure out why only why a max of 6 buttons are recognized by the arduino in the game controller properties screen when there should be 15 or so. I wanted to do a multi driving cab that plays other 360 wheel games. So I'll need some admin buttons, start buttons, and buttons to simulate a shifter etc. Would appreciate some help in getting this work. But thanks for this arduino sketch in the first place. Thanks, Processedmeat. That should get me pointed in the right direction again. I hope to take a shot at it in the next couple days. Your advice was very helpful, ProcessedMeat but I have learned my lesson to never buy a clone again to save a couple bucks. I did get it into DFU mode but I needed to reset in another order with a couple other pads shorted. It turns out that my Sainsmart version of the mega2560 uses an AT90USB82 instead of the 16AU. I was able to get it connected in Flip using the AT90USB82 setting (once I figured out it was a AT90USB82) and I was able to get it to use the driver that was supplied with Flip. Even though I have figured all of that out I cannot get the TurnIntoAJoystick.bat file to work. I get the two first checks done in green but the last one fails and says 3EB 2FEF no device present. Is this batch file just a quick way to load a hex file or is there more going on in it? It looks like one of its jobs is to load MegaJoy.hex. Can I just load MegaJoy.hex via Flip instead? Okay, I took a shot and used Flip to load the MegaJoy.hex file onto the Clone. Then I unplugged it and plugged it back in. I see a total of 4 HID-Compliant mice in Device Manager so I am assuming that it worked to some degree but my mouse cursor now slowly creeps across the screen along one axis and I can't figure out why. It sometimes stops when I pick it up and it sometimes moves slower/faster when I pick it up but it always moves towards the left. Its not the USB cable as I tried using another one and the problem was still there. I decided to test my rotary encoder with some of the inputs. From what i understand the two inputs for each encoder should be 2/3, 21/20, and 19/18. The encoder moves the mouse pointer left and right when I hook up to 21/20 but doesn't move the mouse pointer when I hook up to 2/3 or 19/18. Is this a fair test and is something not working properly? I would think that the encoder should move the cursor in all these instances? Thoughts are welcome. I may just order an actual Arduino Mega but I hate to admit defeat. Okay, the clone Mega 2560 is a pile of junk. It is being returned to Amazon and I will be ordering an actual Arduino Mega 2560 rev3. Lesson learned. Moving on. I took a shot at the pedal assembly and gave it a quick restore. I used the existing mat and the metal trim around it because it was actually in pretty good shape. I hand sanded all the metal pieces before spraying and hit them with two coats of tremclad hammer finish and finished it all off with a coat of tremclad semigloss. They turned out pretty well but I imagine the foot pedals will be scuffed up pretty quickly. I had a friend suggest using bedliner paint on the actual pedal face for grip so I may try that eventually. All the pots were tested while it was apart and the original harness was checked for continuity before putting it back together. Double check your voltages and ground going into the encoder board. Also, make sure that you get a good continuity from the fingerboard of the encoder pcb on the wheel to the wires. I reflowed the fingerboard with some more solder to ensure that there was a good connection. Also, make sure the molex is pushed into the fingerboard all the way. I had some issues that I couldn't figure out and that made all the difference. Yeah, it should move when plugged into 2/3 and 19/18. They turned out pretty well but I imagine the foot pedals will be scuffed up pretty quickly. I had a friend suggest using bedliner paint on the actual pedal face for grip so I may try that eventually. I used 4" wide grip tape (skateboard) on my pedals from Amazon to keep them from getting scuffed up. Okay, the clone Mega 2560 is a pile of junk. It is being returned to Amazon and I will be ordering an actual Arduino Mega 2560 rev3. N3wt0n, which frontend where you thinking of using? I wanted a purely steering wheel controlled frontend and Hyperspin is giving me fits since it can't be controlled by mouse input. Thanks for the tips but Amazon is taking the broken board back since I can't get it to work properly. I've ordered a legit Arduino board that should get here in time for the weekend I hope. The grip tape idea is great. I may do that. I haven't really picked a frontend yet but I knew it wouldn't be Hyperspin because it would be too much for the older PC I am using. Baron mentioned one earlier in the thread but I didn't get around to checking it out. Ultimately what I would like to have is just a really simple frontend that displays one game marquee at a time but rotates through them as you turn the wheel left or right. Nitro button to select game. At this point I am not planning on adding any additional buttons to the panel. It will have a very limited number of games it will play but ultimately I want it to appear as close to an original off-road as possible. I'll be glad when you get this all sorted. Running a 3 player Offroad cab on a single interface device has come up more than a few times. Other people will get a lot of use out of all your arduino sketch after you've done all the troubleshooting. I will be glad when this is up and running too! SailorSat already has a sketch that should be set to go. If she doesn't mind, once I get it running as expected on the Arduino I will post a step by step of how to set it up. Hi all, excuse my ignorance but couldn't you just do a 4 axis gamepad analogue hack for the 3 pedal axis's and 2x 2 axis mouse hack for the optical wheels? I'm not sure about that Vandale but I think the Arduino route will be a nice clean solution when complete. Most of my issues have been from being a complete newcomer to Arduino and getting a bad clone board. It's hard to tell if it's broken if you don't know how it should work. New Arduino Mega 2560 rev 3 has arrived. I tested it by putting the blink sketch on it without issue. Open sketch and upload it to the mega - loaded fine. No errors. unplugged and plugged it back in. I am still not getting a button press registered on input 32. I think it should register as a button press in the gamepad properties. Can you confirm that ProcessedMeat? Also, I am getting horizontal mouse movement when using the spinner with inputs 20/21 but not with 18/19 and 2/3. Also, I am getting x,y, and z movement with input in A0, A1 and A2. Shouldn't one of them be x axis, one be the y axis and one be the z axis? These are the same results I was getting with the clone mega except the mouse no longer wanders across the screen without any input so I guess that is progress. Is checking in the gamepad properties the right place to be checking these inputs? Maybe I am missing something. Any help would be really cool. thanks. I was getting the same issues with my setup regarding buttons. Weird regarding the horizontal mouse movement - I'm sure you took the "working" spinner wires and plugged them into 18/19 and 2/3 to make sure it wasn't a hardware issue. I'm not sure if this works without an oscilloscope but maybe you check the voltage coming out of the encoder wires. I think they should be oscillating as the wheel turns. I think I'm getting the same with the analog pedals. It should work fine when you map the controls to mame. I think I also tried the pins that didn't register a button press from gamepad properties in the mame controls menu and they weren't being recognized as well. N3wt0n, could I trouble you to take a hires photo of the control panel overlay from above so the steering wheels are not in the photo? I want to try to create a custom art CPO that is representative of the the multi game nature of this cabinet. First off - Don't leave inputs floating. Your analog axis move all together as it seems you have not connected all three of them. Second: The sketch is reading form PortA and PortC which map to 22 to 37. Pin 22 to 29 are mapped to various mouse buttons. Pin 30 to 37 are mapped to the gamepad. Wow! Thank you for the help SailorSat! I don't know why I overlooking the mouse buttons as inputs but I feel pretty dumb right now. This is great. ProcessedMeat, I think I took the pics you were looking for. These aren't the highest res that I have but you will have to PM me your email address so I can share a dropbox folder with you. I have the wider "Team Quarterback" sized control panel as well as the standard US 3 player panel. I took pics of both and if you need measurements for scale I can take those too. Just let me know. Page created in 0.273 seconds with 61 queries.